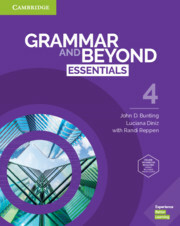 Grammar and Beyond Essentials Level 4 Student's Book with Online Workbook teaches grammar in a real-world context that students can apply outside the classroom. Clear grammar presentation and practice helps learners understand the form, meaning, and usage of each grammar point. Students study and practice correcting the most common mistakes in the Avoid Common Mistakes sections. QR codes give easy access to audio at point of use. 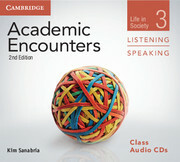 Each Student's Book comes with access to an Online Workbook, which provides self-grading practice and assessment.